I am a graduate of the University of Wisconsin–Parkside with a BA in Music. While there, I studied classical guitar under James Yoghourtjian and played in the jazz ensembles under Tim Bell. After graduation, I studied privately with jazz guitar legend Joe Pass for more than 10 years. I have also studied with iconic jazz guitarist Barney Kessel. I have made Racine, WI my home. It is 30 miles south of Milwaukee and 60 miles north of Chicago. For my guitar, I play a Gibson Custom L5 that is plugged into a Polytone Amplifier. I use medium gauge D’Addario chrome flatwound strings. After I performed a duet with Joe Pass at the Blackstone Hotel in Chicago, IL, Joe stood up and told the class, “Dave is a friend of mine. He also plays and teaches classical guitar. I can’t show him anything.” Joe approached me later that evening and said that I have nothing to worry about because I have a great ear and can play all over the guitar. A few years later, I met the master again. “Lessons are over, you can’t learn anymore from me”, he told me. 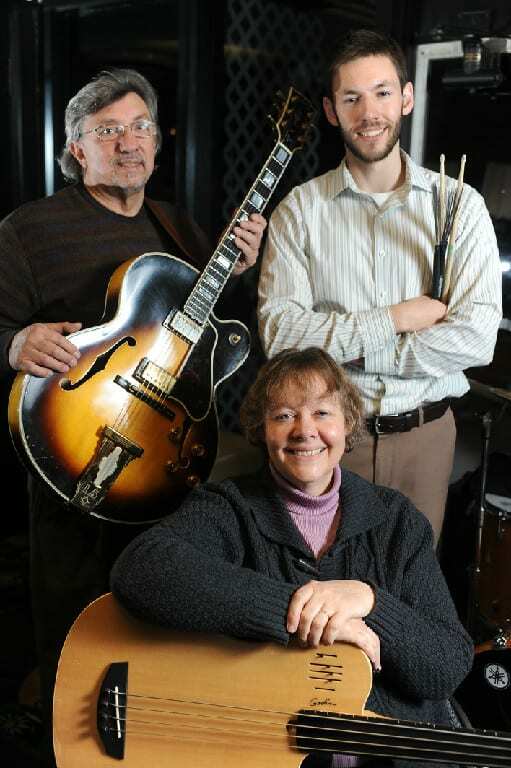 In this group, I’m joined by my son Pete and my wife Paula, who is also an accomplished flutist and pianist. In my opinion, this is the best group that I have played with. All three of us come from the same school of jazz. We think, play, and breathe together. My wife and my son know where I am going and their sense of time is impeccable. Playing as a trio is challenging, but in return, it can be the most rewarding endeavor that helps me distinguish myself from other musicians. 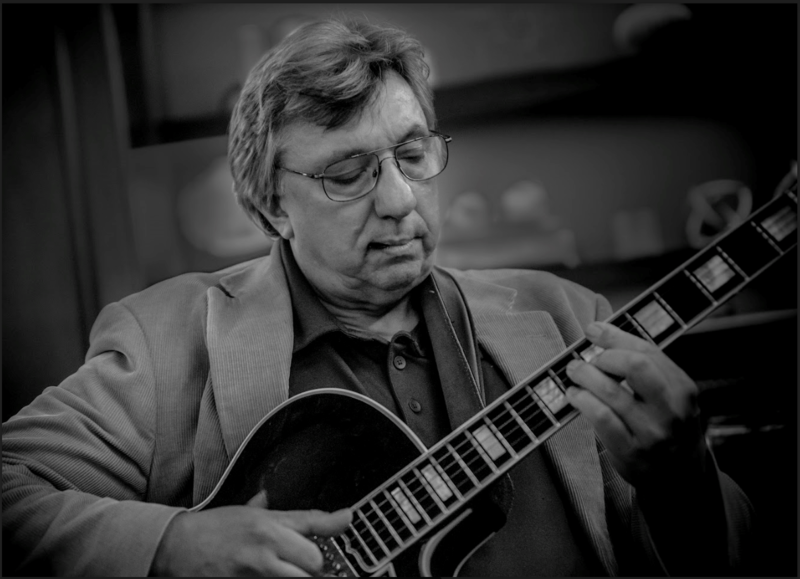 My trio was featured in the May 2014 issue of Just Jazz Guitar, an international magazine. While Joe Pass is my biggest influence in solo playing, I feel like the master of the guitar trio is Barney Kessel, after whom our traditional jazz trio is styled. My goal has always been to sound like the great piano trios of Oscar Peterson and Nat King Cole. I love the combination of single-line playing with full block chord riffs. Because of this, I have always approached the guitar as a chordal instrument. To form our Sextet, our trio is joined by 3 horns usually trumpet, trombone and saxophone. 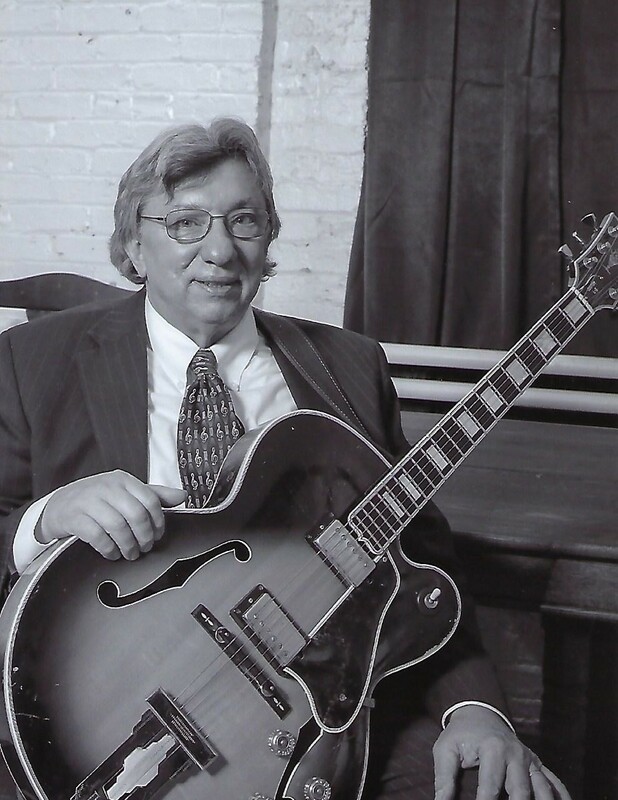 The Dave Braun Trio and Sextet are available to perform at your club or your private party.